When Salem Wolves were asked to contribute to a Boston based 80's tribute album, they chose to honor the late Pat DiNizio of The Smithereens. Their version of the 1986 hit "Blood and Roses" has been released, and needless to say it's a must listen. As expected, Salem Wolves's version is rougher and a bit noiser than the original classic. They bring their trademark arena anthem ready garage rock noise to the song, but it's somehow more pop sounding while being harder edged? It's a slinky, groove filled romp in noise, with frontman Grey Bouchard giving into his more pop sensibilities, and coming across like a working man's Brian Molko (Placebo) along the way. It does all of this while staying completely true to the original version. 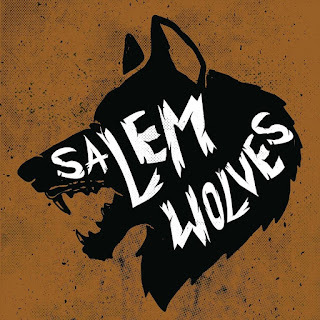 You can listen to the Salem Wolves version of "Blood and Roses" below. The song will be part of BearTone Studios's upcoming 80's tribute album. For more on Salem Wolves, check out their website.